This recipe for salt cod with potatoes or bakalar s krumpirom is popular with Serbians and Croatians, especially for fasting times like Lent, Advent and other religious occasions. Since the salt cod has to be soaked for two days to remove the excess salt before cooking, plan accordingly. Sliced or chopped onion can be sautéed with the garlic if desired. 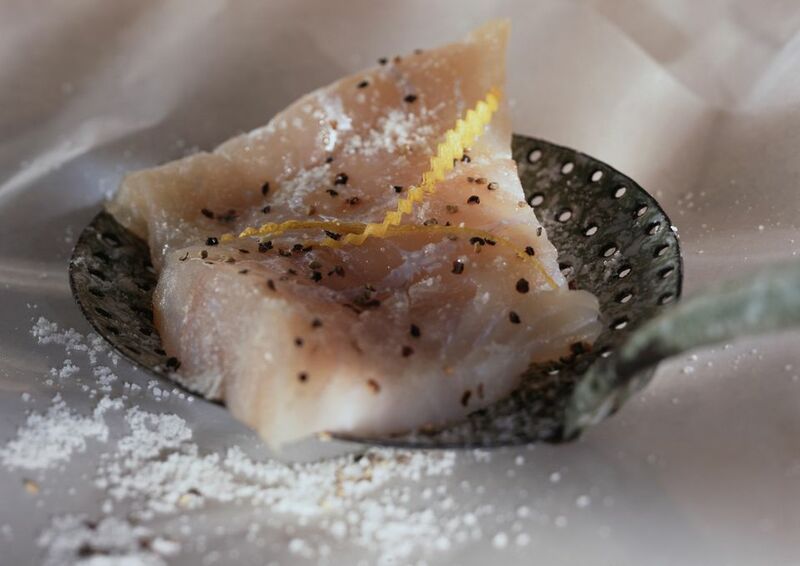 Soak 2 pounds salt cod in lukewarm water for two days, changing the water twice a day. After soaking, do not remove the skin and bones. Place cod in a large saucepan or Dutch oven and cover with water. Add 2 tablespoons of the olive oil, salt to taste, pepper to taste, 1 bay leaf, and 8 lemon slices rind removed. Bring to a simmer, cover, and cook over medium-low heat for 1 hour or until tender. Take the cod out of the water and remove the skin and bones, and discard, but reserve the water. Break the cod into pieces. In a separate saucepan, cook the 1 pound potatoes with the skin on. When tender, but not mushy, remove potatoes and peel as soon as cool enough to handle. Cut potatoes into 1/4-inch slices or quarters and set aside. Put what remains of the 1/2 cup olive oil, 4 finely chopped cloves of garlic, 1 large finely chopped onion (if using), and pepper to taste in a large skillet. Sauté garlic until soft and then add the fish, potatoes, and as much reserved cooking water as necessary to achieve a consistency that is not too dry. Cook over low heat until heated throughout and flavors have married, about 15 minutes. Add more oil, if necessary. Garnish with 1/2 cup chopped parsley. Can be eaten warm or at room temperature.